Event Reports | Lancashire Group Of Endurance GB. Lancashire Group Of Endurance GB. A short ride report from the FEI class from Keysoe. Four Lancashire riders headed to Keysoe for the FEI International CEI ** classes last weekend. Two Young Riders, Katie Atkinson on HS Prosper & Emily Mchugh on another of the Atkinson’s horses Ibn Derkisha. The hotly contested open 120km ** class had 5 horses from the UAE stables along with Jackie Lloyd on Khafifa BJ & Linda Cowperthwaite on Maraday Mystaron. Letting the UAE do their own speedy way leaving Linda & Jackie to be the leading Brits around the route what was developing into a warm day with temperatures hitting 25oC, lots of tight turns and hard ground; a big ask on our horses and making the crews work very hard. Unfortunately we lost Emily at Vetgate 1. On phase 3 Katie caught up with Linda & Jackie and all 3 riders continued to work as a team to keep spirits up as the horses hit the 100km mark in the heat of the day. At the final veterinary check Jackie presented first with Khalifa with Maraday Mystaron 40 seconds behind and Katies horse 2 minutes later. All hands on deck as compulsory re-presentation at this vetgate, all horses safely through. Jackie would be setting out first of the Lancashire trio and in 3rd place of the 120km class at this point. A slight mix up with my times delayed my departure but I decided to wait with Katie and set off on the final loop together as our horses had worked well on the previous phase. Maraday Mystaron showed his experience and knew he was on the final loop and was bouncing along. We caught up with Khalifa and so all 3 Lancashire horses together, was a great sight. As we turned on to the final leg on to the cross country course Katie took a pull to leave Jackie and I to battle it out, no battle we’re mates but Maraday Mystaron was focused on getting to the finish line. He hasn’t forgiven me for pulling him back at Kings Forest earlier in the year. At the final vetting sadly Khalifa was found to have a sight hind lameness, very disheartening but Khalifa did the distance and will be back fighting to get that 120km under his belt. Maraday Mystaron & HS Prosper both passed the final vetting resulting in Katie winning her CEI** Young Rider class & crowned Endurance GB National Champion and Maraday Mystaron 3rd in the Open CEI ** and the 1st British rider home. Excellent results in a tough international race. 2 photos attached taken by us. Khalifa & Ron at the start & our crews hard at work as the day got hotter. What a great night! Huge congratulations to all our members who picked up well deserved awards last night…and “Thank-you” to Sue and her team for organising such a wonderful night. Please go to http://endurancegb.co.uk/main/Results/Trophies-Awards for more results. Well done to all of you and of course your crews! Well done Linda Cowperthwaite, Evelyn Helme and BHA Sultan (Freddie), winners of the 65km best condition at Harwood Dale today. Euston Park Saturday 13th August. 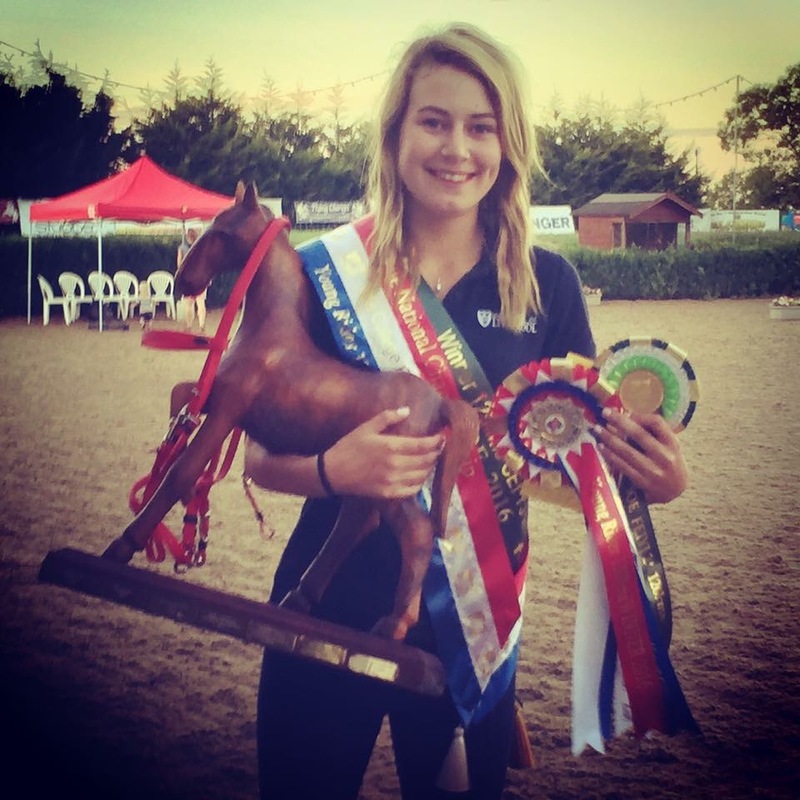 Congratulations to Kate Atkinson and Tannasg Psyches Realm winner of the 120km 2* YR at 19.9kph at Euston Park… AND winner of the Best Condition Award. A massive well done from all at EGB. 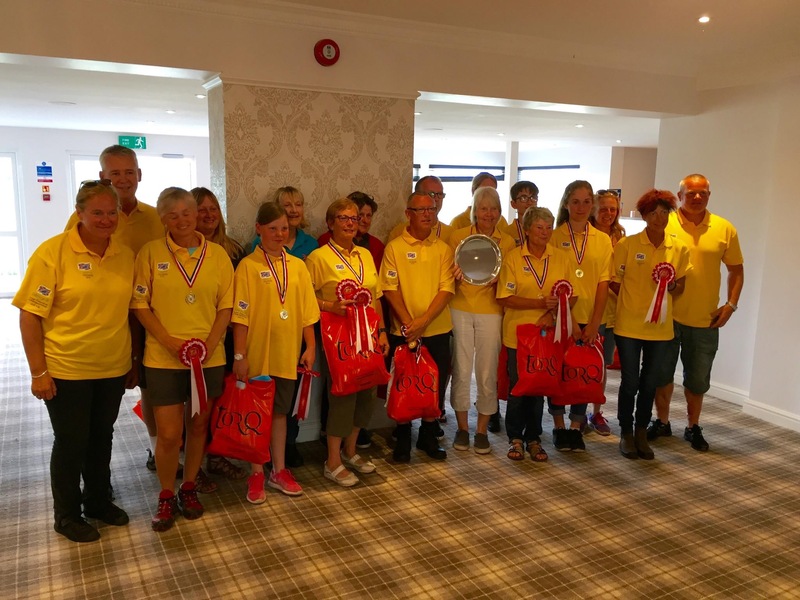 North West team take first place in the Inter Regional Championships, well done to all involved and a huge thank you to our host Thay Stephenson and all of her team. A fantastic ride for Izzy Wilson who came 3rd in a big class competing in the 160km. Congratulations to Jamie Houghton and Sarah Bamber for winning the Inter Regionals Pleasure Pair Class. Kitty and Lilly enjoying their massage. Sarahs sponsor Dee relaxing the horses. Congratulations to Katie Atkinson. 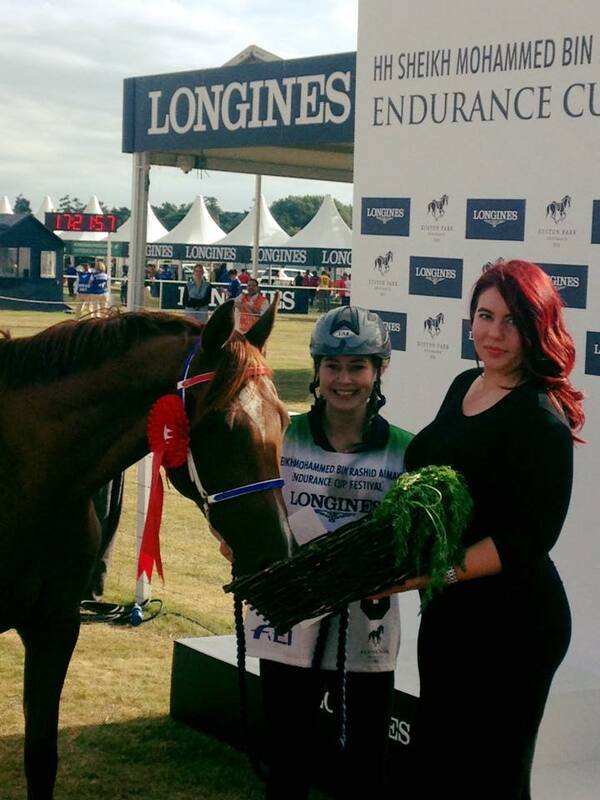 Winner of Keysoe CEI Young Rider 120 and crowned Endurance GB National Young Rider Champion. Well done! Endurance GB Young Riders. Our annual presentation evening at Ribby Hall on Saturday was thoroughly enjoyed by all. We had an outstanding number of 96 guests present, all of whom helped celebrate the 30th anniversary of EGB Lancs Group, and we are so pleased to report that so many supported the theme of the evening and wore glitter. We were pleased to welcome several special guests, those being some past champions of EGB Lancs Group and their families .i.e. Janet and Joanne Bailey, Helen, Keith, Becky, Donna and Lucy Helme and Peter , Meriel and Zara Moon. A photo display showing them and their mounts, along with more recent Highpoint champions, could be viewed by all in the foyer. Past and more recent donators of our wonderful trophies also helped us celebrate the evening. The trophies and awards were presented by our national chairman Mr. John Hudson, and M.C. for the evening was Alan Green. Most members present received an award of some form, not to mention our overall highpoint champion Jackie Lloyd who achieved this title for the fourth consecutive year – something to be really proud of. The food was wonderful and the staff at Ribby Hall certainly helped make sure our evening was a success. Photographer Edwin Devey, kindly took hundreds of photographs of the proceedings, all of which can be viewed online at www.whatapicture.biz . A full set of results will shortly be posted on the EGB Lancs Website . Thanks again to all who attended and who helped make the event a success. A successful night for Lancashire Riders at the Endurance GB Awards night. Green Dragon Team was won by Lancashire riders Carolyn Livesey and Jackie Lloyd riding Khalifa BJ and Zim Nazka. The Senior Grand Prix Trophy, awarded to the horse & rider combination gaining the most points in Competitive Endurance Rides was won by Evelyn Helme’s Maraday Mystaron ridden by Linda Cowperthwaite he also collected his 3200km mileage award and another of Evelyn’s up and coming horses, Blanche earned her 400km. Continuing Lancashire success mileage awards were awarded to Dorocina Valiant Be ridden by Carol Edmondson awarded 2400km, Diane Hudson’s Tommy awarded 1600km and Jackie Lloyds Kalifa BJ earned his 800km award. Well done Lancashire Endurance riders. LANCASHIRE COMBINATIONS ON WINNING FORM IN SCOTLAND! ENGLAND TEAM WIN THE HOME INTERNATIONAL! Two Lancashire combinations, Jackie Lloyd with Zim Nazka , and Izzy Wilson with Gizzmo made the cut into the England Squad for The Home International held at The Scottish Championships in Yetholm, Scotland last week. In The ER classes Alison came third in the 160 class, Jackie came first in the 120 class and Sally was also respectably placed in the 80k class. In the Graded classes Izzy took Gizzmo round, returning in fine form as did Jessica, both with good recovering heart rates. Sadly Anne Marie didn’t start on Day 2. This all added up to a fantastic WIN for England in very windy conditions on a steep, challenging, but beautiful, course in the stunning Border country. Jackie and Izzy would also like to say an extra special thank you to their crews, Carolyn Livesey who crewed Zim Nazka throughout a fast race ride and Cath Wilson who crewed her daughter Izzy, as well as constantly supplying tea and coffee to all of the squad! We couldn’t have done it without you! Our Lancashire riders were out in force this weekend at the Foremark ride in Derbyshire. The weather was hot and the ride route challenging. It tested rider concentration, horse stamina and recovery but I am pleased to report that all our fantastic riders and got round with sound , happy and well-behaved horses who all looked bright-eyed and healthy when they each crossed the finishing line. Linda Cowperthwaite on Blanche completed a 64k with a Grade 3, crewed by Evelyne Helme and Robert Cowperthwaite. Carolyn Livesey on Khalifa BJ completed an 80k with a Grade 2 – crewed by Suzi and Jackie Lloyd. Tanya Fitton and Mack completed her first ever 80k alongside Karen Corr and Squiggle, who also completed 80k for the first time. 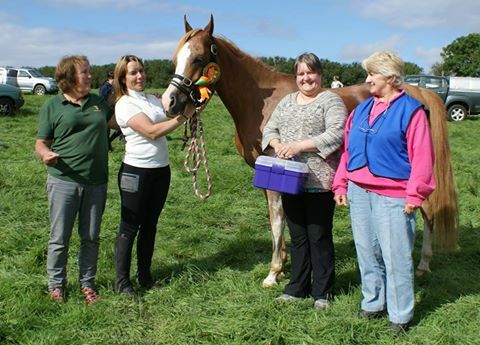 Well done, ladies – it was a big ask of your horses and they did it for you! You can be very proud of them both. 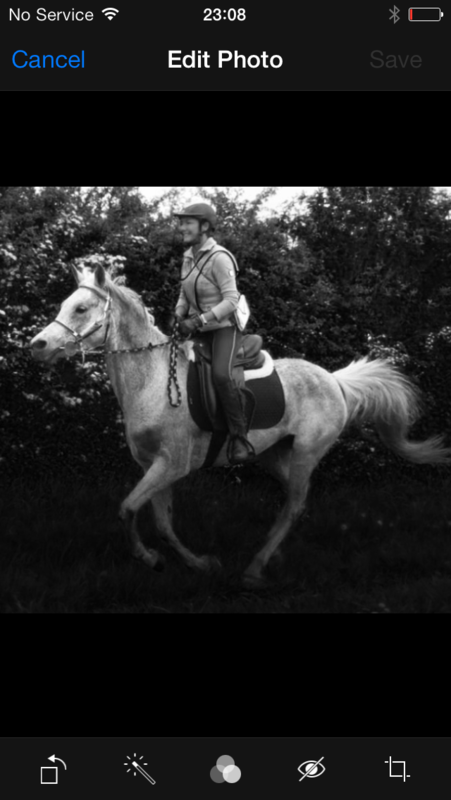 The ladies and their horses were crewed by a winning “double act” Chris Fitton and Bond who not only “crew” but “entertain” too! 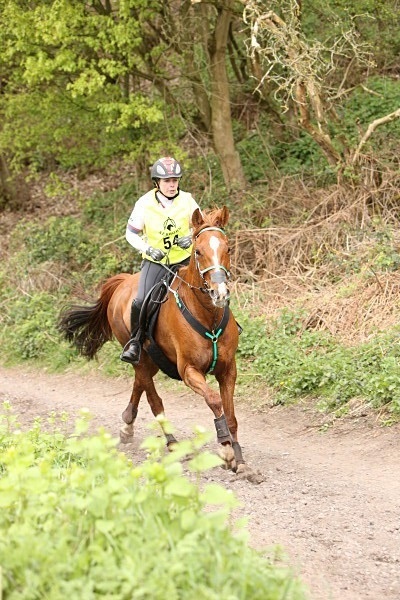 Young up and coming rider Izzy Wilson rode her lovely horse Gizmo through his third 40k this season. They were enjoying their late start to the season as a well-earned reward for studying hard and completing her GCSE examinations. Good luck with those results in August Izzy from all of us in the Lancashire group. They were supported by dedicated Mum, driver and crew member, Cath, who is loving the outings as much as Izzy and Gizmo! 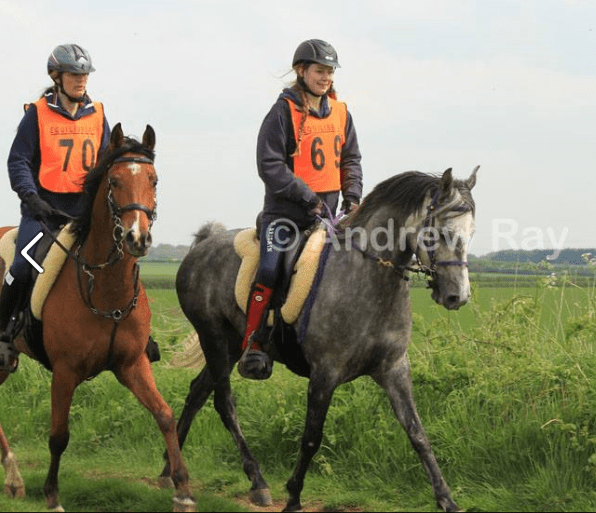 Rachel Atkinson rode her young horse, DNS Ronaldo effortlessly through an 80k, ably crewed by her husband, Andrew and their daughter and EGB Young Rider, Kate. 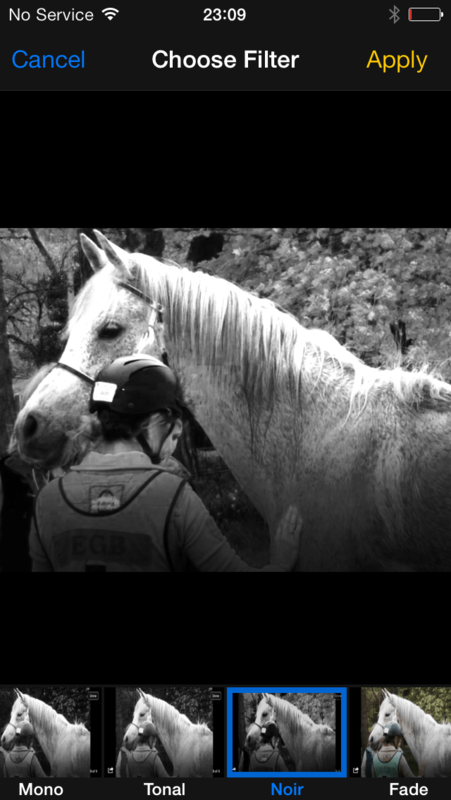 Rachel was the first rider out that morning – and the first one home. Well done Team Atkinson. Jackie Lloyd on Zim Nazka achieved a grade 1 in the 2 day 128km (64km x2) graded ride. Sadly Nazka’s stable mate Khalifa, was vetted out at last vet gate on day 2. 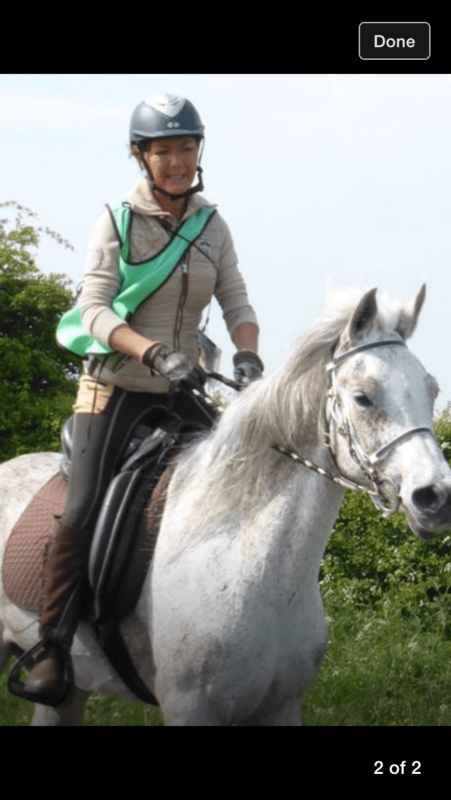 Leaving Jackie & Nazka to continue on alone, but an experienced endurance horse she confidently continued and delivered the best result of a grade one on a final heart rate of 46 and with quick presentation times through the vet gates. Mother and daughter combination, Rachel & Kate Atkinson were taking part in Sundays 64km graded class. Rachel riding DNS Ronaldo achieved a grade one with this horse’s first attempt at this distance. Katie on her French endurance horse, Hissane Al Azrou gained a grade 2. The main objective is preparation for this combination’s next race ride. Anne Booth wasn’t so lucky this time in the 80km race. In a racing finish with Yorkshire rider Tracey Thompson Anne was first across the line but sadly was unable to get Rassam’s heart rate below the required 64 bpm so was eliminated. Maraday Mystaron & Linda Cowperthwaite contested the 2 day 131km ( 80km & 51km) race ride which they won and presented with a final heart rate of 46bpm. So a great result for owner Evelyn Helme 2 races and 2 wins this year. 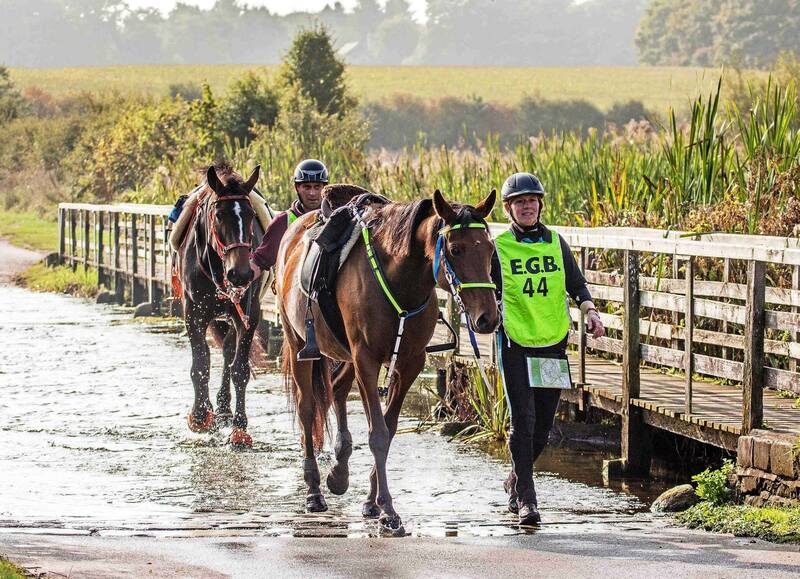 Linda and Her horse Ron are part of the Endurance GB Elite Squad along with Rachel Atkinson and her horses. Jackie Lloyd and her horses are part of the Development Squad (World Class Start and Potential Development Squad) and Kate Atkinson is part of the Young Rider Squad. LANCASHIRE RIDING ON A HIGH.at Haywood Oaks FEI International multi day Endurance ride on 19, 20 & 21st April 2014. Lancashire riders showed early season success in the FEI *90km Open class, Elite Team horse Maraday Mystaron & Linda Cowperthwaite made a winning return to race riding by racing to the line for first place at an impressive 17.38kph. In the National 80km National race Anne Booth & Rassam won the class at a speed of 15.77kph. A very successful day for Jackie Lloyd’s horse’s Zim Nazka, Lancashire Highpoint champion accompanied his stable mate. Lancashire Novice champion Khalifa B J in upgrading from Open to becoming an advanced endurance horse along with rider Carolyn Livesey in the 80km Graded class. Competing on Sunday events was Tania Fitton riding Meadowland Mack and Chris Fitton on Orelie Griff. Both completed their first 50km. 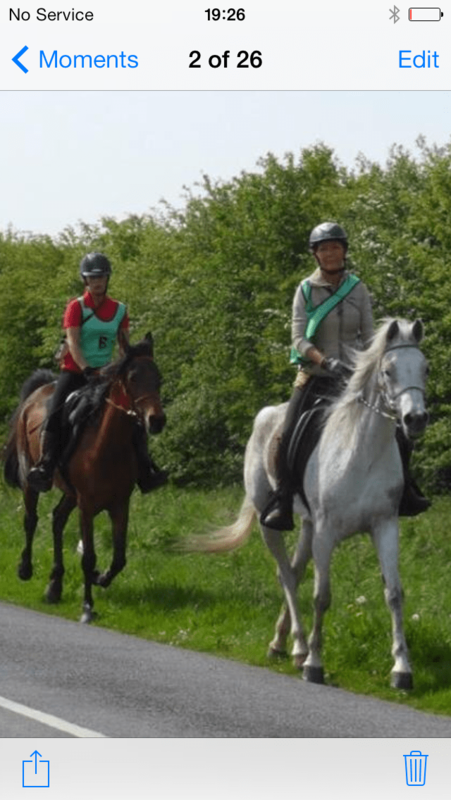 Lancashire Group Celebrate 25 years of Endurance Riding 1st-2nd August 2009.